Home 40 , 41 , 42 , 43 , 44 , 45 , donor eggs , surrogate How much would YOU pay to be a mother? Nikki Bains, 47, an NHS admin assistant, lives with husband Bobby, 48, and children Daisy, four, and Dylan, two, in Ilford, Essex. 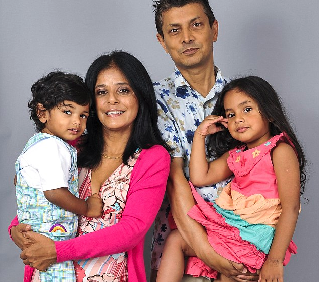 They spent £150,000 on fertility treatment using surrogate mothers in India. It may have taken 15 years to have the children we always longed for but it’s been worth the wait. That said, there’s no denying our dream family has come with a hefty price tag. In fact, we’ve spent our life savings on fertility treatment and endured years of heartbreak to have Daisy and Dylan. Daisy was born in July 2008 and we flew to Delhi to bring her home. The moment I laid eyes on her I fell madly in love. It made no difference to me that she wasn’t biologically mine. All that mattered was that we were parents finally. There is nothing I would have loved more than to have been able to carry my own babies, but life didn’t work out for us in that way. Fifteen years after we started trying, we finally have our perfect family. You can’t put a price on that. -- So you're over 40 and you've decided to get pregnant. You are not alone.